Telltale’s The Walking Dead: The Complete First Season is coming to the Nintendo Switch new week, with all five episodes, visual enhancements, and the add-on anthology 400 Days. While the first episode of The Walking Dead: The Final Season is already out on the Nintendo Switch and other platforms, Switch owners can now start from the beginning of Clementine’s nightmare, and begin to experience her full journey. The Walking Dead: The Complete First season is set to launch on the Nintendo Switch on August 28th, 2018. It will be available in the Nintendo Switch eShop for $24.99 USD in the United States, Canada, most of Europe, Mexico, and Australia. The audio will only be available in English, however all content will be subtitled in English, French, German, Italian, and Spanish according to the press release. Clementine and Lee amid some hungry walkers. They also announced that the second and third seasons of Telltale’s The Walking Dead will also be coming to the Nintendo Switch later this year. Furthermore, new episodes of The Walking Dead: The Final Season will continue to come out on all platforms throughout the rest of 2018. 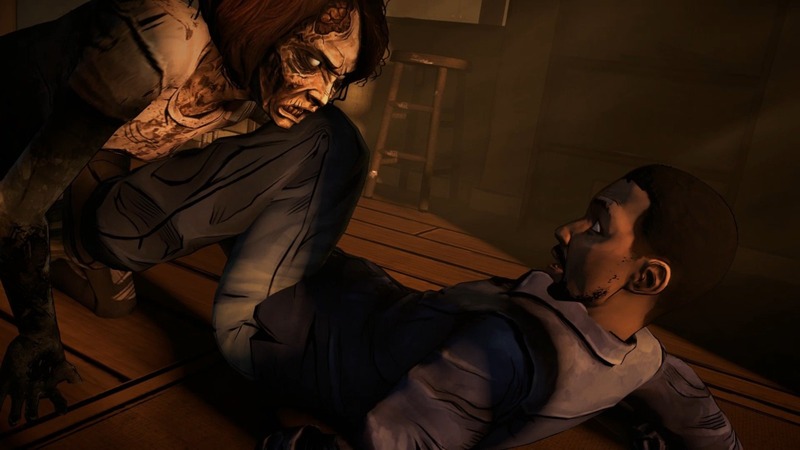 Telltale’s The Walking Dead takes place in the world of Robert Kirkman’s famous comic book series of the same name. It puts players into a deeply emotional story, where their choices affect who lives and who dies. 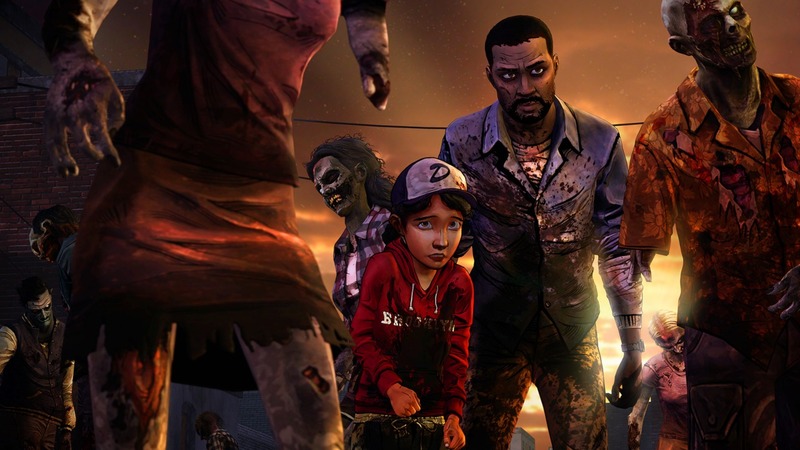 The video game series follows the journey of young Clementine, as the world collapses around her. Alone and scared, she must survive. It turns out luck is on her side for now, as another survivor named Lee Everret soon stumbles upon her. Lee has an oh s#%$ moment! 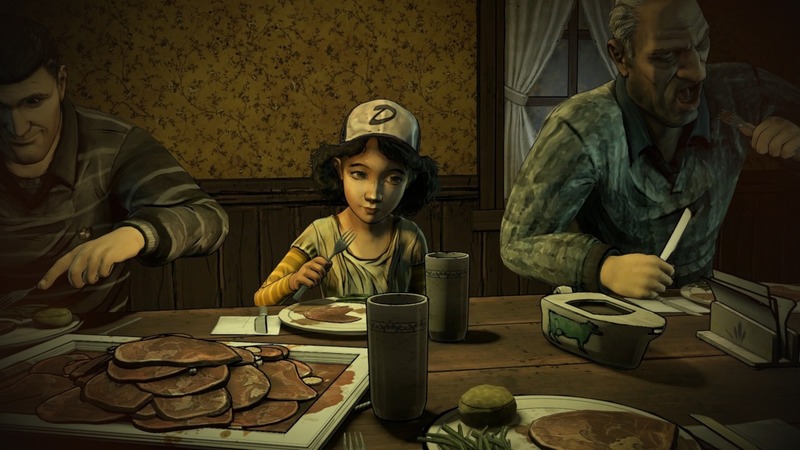 Telltale’s video game adaptation of The Walking Dead has earned a pile of over 100 Game of the Year awards, and sold more than 50 million episodes globally. It also got two BAFTA awards in the category of Best Story. You can find out more about the game at its official website. You can also learn more about Robert Kirkman, The Walking Dead, and any of his many other titles at Skybound.com.